This picture shows spectacular ribbons of gas and dust wrapping around the pearly centre of the barred spiral galaxy NGC 1398. This galaxy is located in the constellation of Fornax (The Furnace), approximately 65 million light-years away. 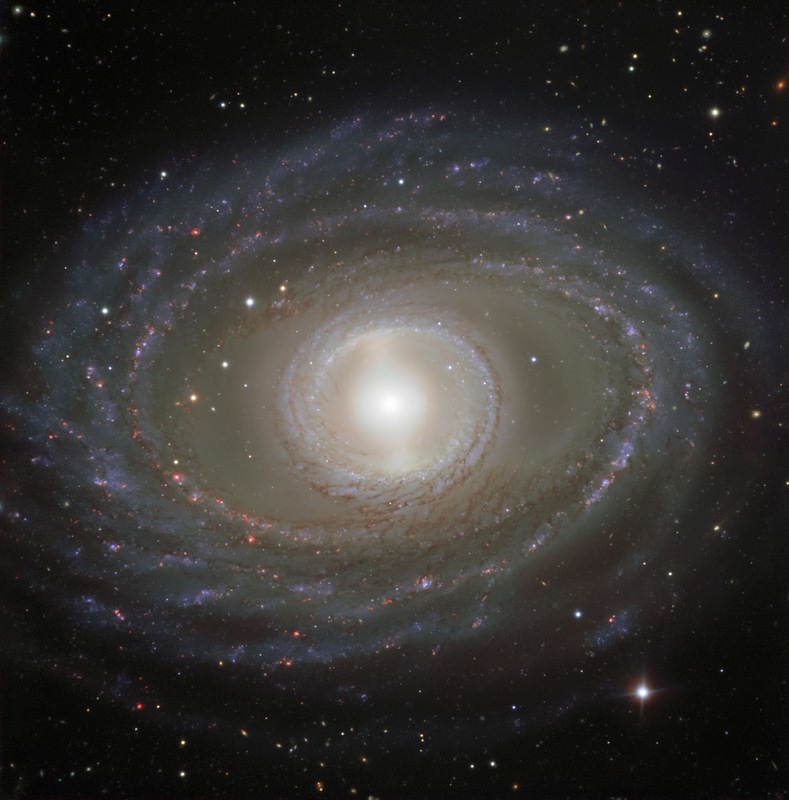 Rather than beginning at the very middle of the galaxy and swirling outwards, NGC 1398’s graceful spiral arms stem from a straight bar, formed of stars, that cuts through the galaxy’s central region. Most spiral galaxies — around two thirds — are observed to have this feature, but it’s not yet clear whether or how these bars affect a galaxy’s behaviour and development. This image comprises data gathered by the FOcal Reducer/low dispersion Spectrograph 2 (FORS2) instrument, mounted on ESO’s Very Large Telescope (VLT) at Paranal Observatory, Chile. It shows NGC 1398 in striking detail, from the dark lanes of dust mottling its spiral arms, through to the pink-hued star-forming regions sprinkled throughout its outer regions.